Dr JBs Red Window Hummingbird Feeder. With Window Hanger. The Dr JBs Red Window Feeder with a Window Hanger. A great deal compared to buying the hanger and feeder separate. Now includes Window Hanger (SE077) to make it easier than ever to hang. 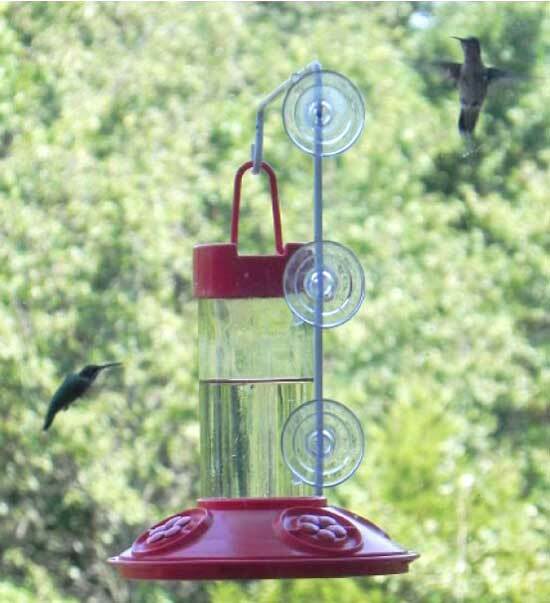 Watch hummingbirds from inside as well as outdoors! Finally you can clean the inside of a hummingbird feeder. No drip design even in highwinds! Replacement petals available in yellow and red.